We spoke to Remote Working experts, Nomad, for their insight into how we work, and how to make the most of our work lives. For a while now, it has seemed like we are on the right path, with more and more companies giving their employees access to remote working policies, the office as the be-all and end-all of work has slowly decreased. 9 to 5 hours seem dated while flexible work arrangements are becoming absolute musts for any millennial on the job hunt. 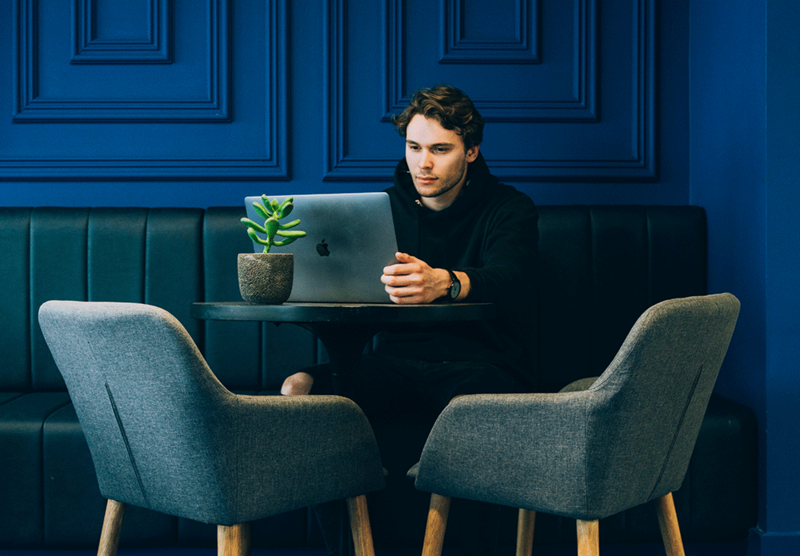 In an increasingly globalised world, where personal connections aren’t made by random encounters on the street but forged through digital means, it’s only a matter of time until remote working becomes an integral part of our future. The motto of not only loving where you work but loving how you work is dominating company cultures and countless individuals swear by it as a lifestyle. Nevertheless, there’s a trend emerging. Opposing businesses like Buffer and Automattic, who pride themselves on being entirely location independent, major conglomerates like IBM are now taking a step back. After decades of remote work, the company has now decided to “co-locate” their US marketing department, forcing employees who formerly worked from home, to commute, move or search for another job, with other departments soon to follow. IBM, who prides itself on innovation and acts as the forerunner for major technological advances like the cloud, virtual connections and mobile experiences, is thus undergoing an ironic shift. Why establish yourself as the go-to source for ‘global employment’ and then backtrack towards a more standardised, outdated way of working? It seems that IBM are latching onto what I recently referred to as the Yahoo Effect. Yahoo’s CEO Marissa Mayer caused major outrage when she announced that the company’s pre-existing remote working policies were to be abolished – a strategy to encourage improved communication and collaboration within the teams. Major companies like IBM are increasingly coming to a common understanding: maybe remote working just isn’t the right thing for us. It’s not difficult to see where these blue chip companies are coming from. With all its benefits, remote working has two significant downsides. Not only have studies shown that location independent workers experience higher rates of burnout, but they also shed a light on the fact that the effectiveness of a work-from-home program isn’t a given. Remote working doesn’t always work. According to Larry Alton, it’s “tied to the way the program is executed, and the specific needs of the organisation, the individual, and the circumstances.” His opinion is that, remote working only works when certain factors like defining productivity and evidence of output are covered. Despite incredible advances in technology, the reality is that our resources are still limited. Workshops on how to make remote working work for the company, how to communicate within the team using the technologies that are available, and how to teach managers the trust required in such setups is part of the solution. Until companies are educated on not only implementing potential remote working policies but also adapting their existing job positions and descriptions to suit such policies, we’ll keep finding ourselves stuck in this awkward state of limbo between a desire for flexibility and reality. The good news is that solutions are already in place to make remote work feasible for larger companies. Coworking spaces such as LABS, which offer a variety of memberships, including hot-desking opportunities to can give CEOs that reassurance, knowing their teams are working in a professional environment rather than at home where they can encounter far more distractions. Additionally, companies are increasingly coming to an understanding that remote work means they have access to a far larger pool of talent, allowing them to hire the best of the best, even if they’re not willing to relocate for the job. Millennials and younger generations are no longer interested in such sacrifices in order to make a living and as such, won’t yearn for positions that compromise their life beyond work. The 43% rise in the freelancing workforce in the last 8 years demonstrates this, proving that autonomy is increasingly a major factor in the future of work. The wish for location independence is undeniably there and with current remote workers swearing by an increase in productivity, it won’t go away. What we must remember, though, is that the move from the office to home won’t be an obvious shift. We’re not going to wake up one day to see the City of London empty, with every employee sporting a laptop in their backyard. Over and over again, we’re told that this standing desk or that open-office design or these apps are the future of work, when really, our understanding of what makes employees happy is a churning machine that’s always switched on. We’re constantly discovering new ways of improving our quality of life in the office. There’s not one solution that will suddenly satisfy every mode of work in the world. ‘Telecommuting’ goes all the way back to the early 70s – the term is still evolving, from ‘digital nomad’ to ‘remote work’ to location independence – and will still take a while to become fully integrated into our lives. For now, perhaps it’s not so much about implementing remote work per se, but more about integrating elements of life into work. The steps that forerunners like Google and Facebook are taking – from onsite wellness and healthcare services to cooking classes – are not successful and admired because all their employees get to work from home, but because they are given opportunities to experience things that go beyond the sphere of working. We should be focusing on how to make work work for us.